Tokyo Auto Salon Singapore 2013 - came to Singapore at Marina Bay Sands Convention Centre for the very first time in its 30 years history from 12-14 April 2013. 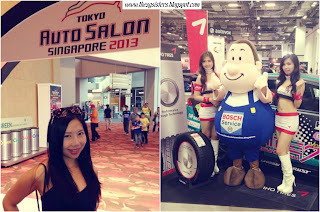 It was fully supported by the Tokyo Auto Salon Association (TASA) of Japan, Muse Group and MediaCorp. Tickets were reasonably priced at SGD$25/adult. This exclusive event features the finest and most unique cars from Tokyo Auto Salon Japan 2013 as well as Japanese Race Queens, J-Pop Idols and other entertainment specially flown into Singapore from Japan to provide visitors a memorable experience! The J-Pop Group AKB48 also displayed their wonderful dance techniques. 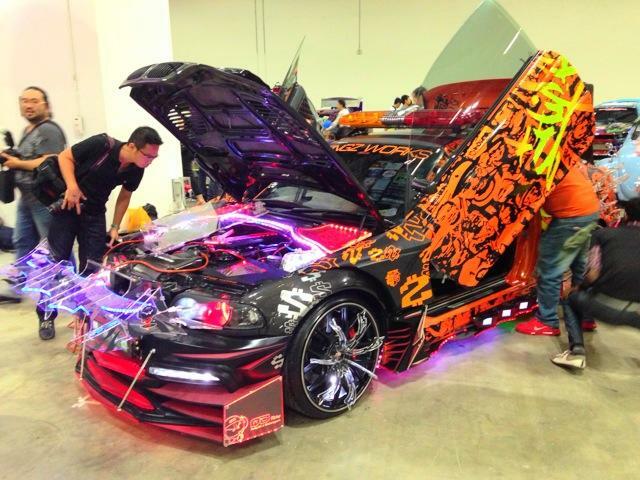 More than 150 cars were specially showcased during this event. 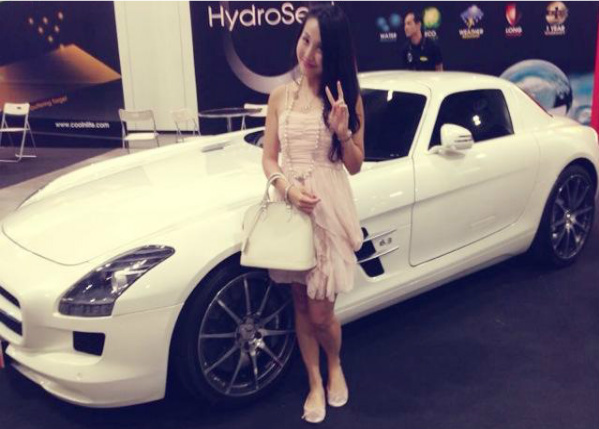 My sister Sara Shantelle Lim and I visited the event and we were delighted to spot a few unique and interesting cars. I even took photo with a lovely pink car with long eye lashes! There were many featured cars that had special sounds systems and modified parts. Some cars were also modified to exude luxury indulgence with its interiors decorated with shiny crystals, champagne bottles and glasses. Some cars even have disco running lights to reflect their hip characters! The car models were pretty hot too and many photographers were busy taking close up photos with them. 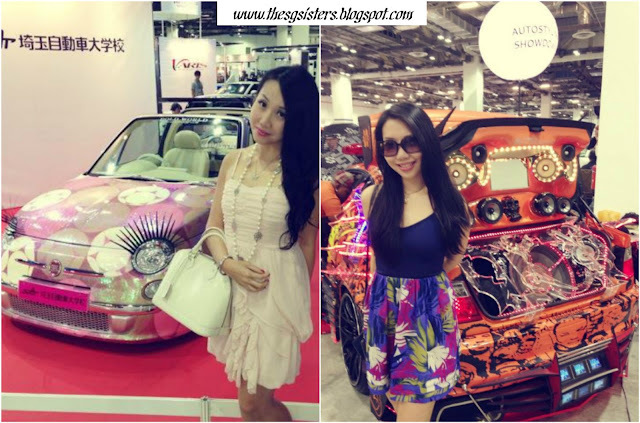 There was much comparison between the beautiful Japanese car models vs Singapore car models. DJ Foxxy also performed as the guest DJ for the night!